Mom Heart --a movement of God to encourage moms! This morning, I am sequestered away trying to finish the rewriting and editing of the last details of my new book about Biblical Joy. I really want to clearly communicate all that I have been learning about finding joy in the presence of God, but I really need His help to communicate effectively all that He has been teaching me! I would so appreciate your prayers for me this week! 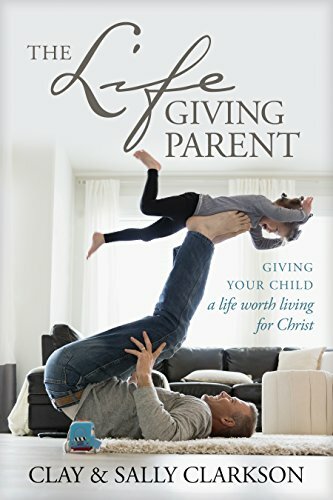 So many of you who know me well, know that Clay and I believe that the decision that moms make to intentionally disciple their children, is the Biblical design of God, that will indeed determine the outcome of the souls and hearts of the next generation of adults--who are now children in the homes of families. With the breakdown of the family, and all the problems that are so common in our culture, (divorce, precious single moms---those never been married and those alone; immorality, a diminishing Christian base, etc. ), we feel strongly that the Lord wants us to start a movement of moms all over the world who will gather around the Bible and encourage each other in the Biblical ideals of God's design for women, especially in the areas of motherhood and family life. I have seen so many times, that without a vision, people do go the way of culture. But also, without accountability and support, women give up on their ideas. So in the spirit of Titus 2, Clay and I are beginning a ministry to train small group leaders to start groups all over the world, in homes and churches, to encourage and instruct other moms and to help them stay faithful to God's strategic design, so that indeed, we can, through His grace, see this culture turn again to the life of Christ. We belive that moms are one of the strategic arenas which we must fortify. It is not enough to just be a "good' mommy--we are in a battle for our children's souls. So, because many of you are not on Whole Heart's email list, several people asked me if I would send on my blog the letter that just went out to our list. We are praying for the Lord to raise up moms everywhere to be a part of what we think He wants us to do. Clay came up with this grand idea--as he usually does--because we so believe that each of us is to have personal, local encouragement and we want to help provide some of this. I am so excited to see what the Lord puts in place. You can write me if you would like to consider being a leader or are interested in training, or send an email to Jennice, our secretary. I look forward to seeing many of you in Denver next week when I speak for Chec and also in California! Blessings! Our e-letter is below and has lots of info! As I have been recovering from my trip to China in April, I have also been hosting my children who have all been here off and on over several weeks in May. We actually had a "full house" for five wild days, which is rare in this season of three older children and too much travel, so now I have many new memories. But it also meant constant cooking, and at least a million dishes washed, and much less sleep, so I have welcomed a return to a little more normal life (although my new "normal" is now three children at home for the summer). Mom Heart is beating stronger than ever! We are so encouraged about the opening doors of opportunity for Mom Heart, especially after my trip to China. It is so obvious to us that families all over the world are hindered, and missing the real blessings of motherhood, because many moms don’t understand God's biblical design. When I speak with so many different groups of moms, it is such a delight to see those who begin to understand the importantce of raising children to be righteous and moral, passing on to them knowledge of the Scriptures, and building a foundation of love for a home that gives life and inspiration. 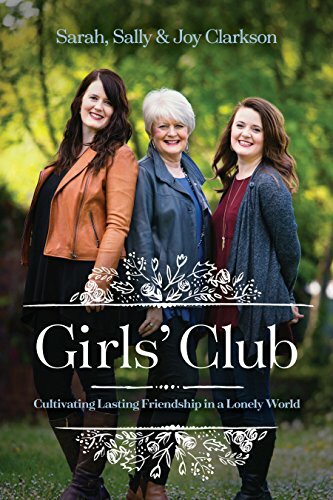 We have also been encouraged to hear from many moms who have started small group "Mom Heart" Bible studies in their homes and churches, or will do so soon. We pray for you and hope that we can become an ongoing source of support and encouragement to you in your outreach to moms. Titus 2:2 makes it clear that God's design is for older, more mature and experienced women to encourage, train, and teach young moms how to build their homes with love for their children and for their husbands. Yet, it is a biblical model that that is not often taught in churches anymore. But that is why we are so excited about Mom Heart. With God's help, we envision stirring a movement of moms all over the world who will sense that they are part of a movement of the Holy Spirit to win back hearts and homes for Christ. We hope to produce materials and media to help—small group discussion guides for each of my books, topical Bible studies for mothers, audio and video training media, a website with articles and resources, a social network for moms, and inspiring conferences. None of what we envision denies the importance of men leading their families as husbands and fathers, raising their children "in the training and instruction of the Lord" (Ephesians 6:4). Yet, we do feel that in a culture that i s awash in feminist values, Christian moms need special attention, instruction, and training. That's the role of Mom Heart. The trip to China was so trouble-free, fruitful, and strategic that we are convinced it was only because so many of you were praying for us. We know that the fruitfulness of Mom Heart will not be because of what we do, but because others pray for God's blessing, and we are simply faithful to follow His lead. We would really appreciate your prayers for Mom Heart right now as we ask God to put some air under our wings. Mom Heart Conferences: We are already planning for our winter 2010 conference season. That's when the "WholeHearted Mother" will officially become our Mom Heart Conference. Clay is working on hotel contracts for California, Texas, North Carolina, and possibly one other state. We pray that even in the midst of a bad economy, God will fill these conferences so that many moms will be instructed, inspired, and encouraged in their calling of biblical motherhood. We also hope, by then, to have some real training sessions for moms who want to lead groups in their own churches and communities. Mom Heart Media and Resources: I will be filming two series of messages this summer to go along with two of my books. We will finish the filming of Seasons of a Mother's Heart, and hopefully also will be able to film talks for The Mission of Motherhood. 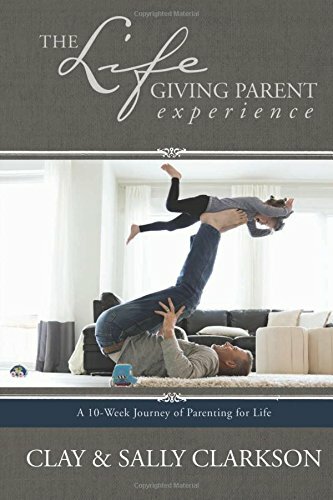 We are also working on producing study guides to go along with each of the books, and we hope to release a special edition of The Mom Walk by early in the fall. The Mom Heart book: Please pray for us, too, as we seek a publisher for The Mom Heart, a proposed core book that will clearly explain God's biblical call to and design for motherhood. We will be attending the Christian Booksellers Association convention In July in Denver to talk to several publishers about this project. Also, we have several strategic meetings this summer with some key church leaders that could result in support and help in getting Mom Heart off the ground and into the real world of church and community ministries. Please pray that God will give us favor and open doors. D6 Family Conference: In September, Clay will attend a new conference in Dallas for church leaders who are in parenting and family ministry. By God's grace, we are one of only a few ministries exhibiting (most are biggies like Focus). We hope to use the conference to officially launch Mom Heart Ministry, and to promote the DFW Mom Heart Conference in February (it's a national conference, but most attenders will be DFW area church staff). We want to put materials in the hands of church leaders that will become the seeds of church and community ministries to mothers. We are praying for some churches willing to get behind Mom Heart as a pilot ministry—anyone out there interested? Leader Training Event: Finally, we are planning to offer a Mom Heart Training Weekend this fall, if we can find a good facility in a central location. If you think you would like to be a Mom Heart group leader, we would like to know if you would be willing to attend a weekend event in October (tentative). We're praying for women who have a burnden for moms, who will help us launch this ministry. If you would be willing to invest a weekend to be trained and encouraged as a Mom Heart leader, let me know by email. You can imagine that with so much on our plates, and without additional staff to move some of it over to their plates, things will probably move forward rather slowly. Still, we believe this is God's idea, and we are encouraged whenever things seem to fall into place. We are praying that many of you will join with us in asking God to build a movement of life and inspiration through moms. We want to join with moms all over the world to offer training and support, and to offer our materials (books in Chinese, Korean, French, and Dutch so far). I have seen again and again that moms who have strong ideals, but no support systems,tend to give up on their ideals. We want Mom Heart to prevent that from happening. Please join us in answering the biblical call to help moms become Titus 2:2 mothers. We so appreciate the many letters of encouragement and affirmation we have received. We know that in the future, many of us will be working together on Mom Heart to honor God. We so appreciate your prayers, support, and encouragement in this work that the Lord has put on our hearts. June 18-19: CHEC Convention, Denver, CO, featured speaker (Thursday: 11:00am, 2:45pm; Friday: 10:30am, 2:15pm, 4:45pm). Click for info. June 27: Calvary Chapel, Yorba Linda, CA, Women's Tea Luncheon, 11:00am-1:00pm. Sally's message: "Building a LightHouse of Hope." Cost: $15.00/person, seating is limited. To make a reservation, contact Regina at CCYL ( 714-777-7131 714-777-7131 ) by Friday, June 12. Click here to email Regina. June 27: Exploring Homeschooling, Irvine, CA, June meeting for families, 5:00-6:45pm, open to all. Sally's message: "Foundations for Building WholeHearted Children." For information and directions, visit the Exploring Homeschooling website. August 6-8: THSC Conference & Retreat, Houston/Woodlands, TX, Keyonte speaker. Click for info. August 28-29: WholeHearted Child Workshop, Loveland, CO (watch wholeheart.org for info). October 2-3: Hearts at Home Conference, Grand Rapids, MI, featured speaker. Click for info. October 17: ISI New England Women's Conference, Bloomfield, CT, features speaker. Click for info. October 23-24: Tentative: Mom Heart Leadership Retreat. Details to be announced. November 6-7: Hearts at Home Conference, Rochester, MN, featured speaker. Click for info. You are receiving this email newsletter from Whole Heart Ministries because you submitted your email address to us either online or by some other means. If you did not request this email, or you would prefer not to receive emails from us in the future, please use the "Manage Your Subscription" link below, or send an email requesting to be removed to admin@wholeheart.org. Please do not attempt to REPLY to this newsletter as your email will be sent to an unmonitored folder and will not be seen or read. Thank you, and wholehearted blessings!